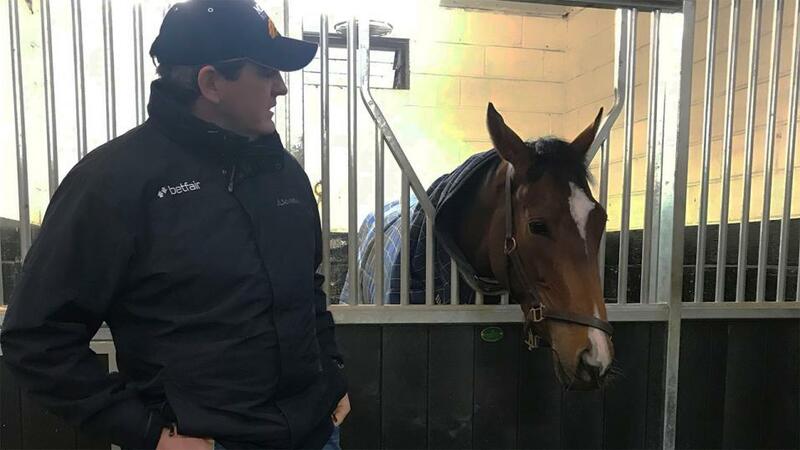 "He was disappointing at Newbury in the spring, but I hope he can put that behind him; we know he is a horse of huge potential, and he has gone very well on the all-weather before, so I hope he can again." Barend Boy won on his nursery debut at Lingfield, but he has promised more than he's delivered so far. I don't want the ground to get too quick (and might not run him if it does) but good ground will be fine, while he works like he will stay a mile at home, and so I hope the step up in trip will suit him. He takes a drop in grade after running in class 2 nurseries at Newmarket and York, and that should help him be competitive. He's in good form, and again I hope the ground doesn't become too quick for him, but good ground will suit him, as it will Barend Boy; it's been very difficult to find races for Delsheer this year because of the weather and how things have worked out, but he looks great and I'm looking forward to getting him back to the track. He was a non-runner at Newmarket on Thursday because the ground was too quick, but it's nice and soft at Haydock and that isn't a concern. He's in very good heart, and I feel he should stay a mile-and-a-half well. Again, we've been largely confined to the all-weather with him because of circumstance, but I feel he is a progressive staying prospect for next year, and I hope we can get some results today. She's been lucky with the draw the last twice, which hasn't exactly been a hallmark of our season, but it's her first run on the all-weather, and she can be a bit gassy and keen, so hopefully she can get a lead off something and sit second on the rail, much as she did at Sandown. I thought she won very well at Sandown, where she confirmed her early promise, and I'm very pleased with her, so I hope she can progress further now she's clicked. He was disappointing at Newbury in the spring, but I hope he can put that behind him; we know he is a horse of huge potential, and he has gone very well on the all-weather before, so I hope he can again. Gulliver was being prepared for the Wokingham, but he popped a curb on a hind leg which has taken time to settle and get right. Both he and Star Archer are in the sales in the autumn, and we've got them ready as quickly as we could, but I'd like to think a run would bring both of them on a great deal.